Tom Lellis is neither a troubadour, nor a balladeer but he has the best aspects of both kinds of vocalists. And if you add to that his daring-do and outrageously wonderful creativity then you are looking at quite a package. This is why I have never heard a recording by Lellis that is anything but brilliant. His 2016 recording The Flow features a performance that is no less wonderful. By turns haunting, visceral and poignant, and always memorable, Lellis voice soars and swoops down low like a ghostly horn as he indulges in magical vocalastics with sleek glissandos. The vocalist always sets the bar higher with his first track and then raises it heavenward with each successive song. Indeed this is an exceptional account of music that is bold and inventive. Lellis sings in two languages. His Portuguese is as efficient, polished, crisp and emotional as his English. But what is wholly exceptional is that each song is characteristic of a brilliant performer in its swiftly changing moods, each of them caught precisely in a couple of minutes or so. This demands virtuosity from Lellis and I find him to be a great listener too, as he adjusts to the song’s narrative and new moods embedded in the lyrics. His bright and clear tenor is both accurate and expressive and he offers bold attack and vitality in the tone itself. He is also a master of shaping lines with imagination and grace always singing with firmness, lyricism and a powerfully communicative quality. So what’s not to love about Tom Lellis? Actually there is a lot more on this recording. Always a masterful producer in addition to being a masterful vocalist Lellis has assembled a galaxy of stellar musicians. The names roll off the tongue like a roll-call of greats: Toninho Horta, Orlando ‘Maraca’ Valle, Gary Fisher, Johnathan Blake, Café, Rogerio Boccato and the reclusive genius of a musician, the flutist Jeremy Steig. Having all of these stars on a record translates into a record of limitless freshness as well as taking a leap of faith where few would tread. This is eminently present in his lyrics and vocals on McCoy Tyner’s ‘Dawn of the New World’ which turn the song towards a new kind of heroic anthem. There is also the mystical vocal version of Ralph Towner’s beautiful song ‘Icarus’ and the inclusion of Chick Corea’s ‘Tones for Joan’s Bones’. Most of all there is Lellis’ own songs which sparkle from the very first chart ‘The Flow’ down to a brooding ‘Notes to Self’ and the utterly magical ‘A Bar Tone (for Adeline Bartone’. 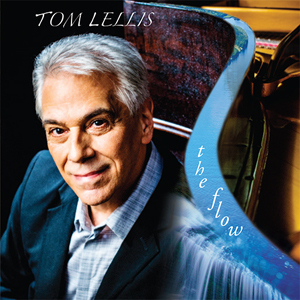 There is much to choose from on The Flow and the multiplicity of things that Lellis and his band have to offer make this experience of a Tom Lellis disc as magical and memorable as all of his other ones because there is no shortage of high-quality moments throughout. Track List: The Flow; Dance With Me; Berimbau/Pomba Gira; Waiting The Day; Sea Aura; Dawn of the New World; Notes to Self; Icarus; A Bar Tone (for Adeline Bartone); Love Comes and Goes; All This Love; Tones for Joan’s Bones; Can it be Done. 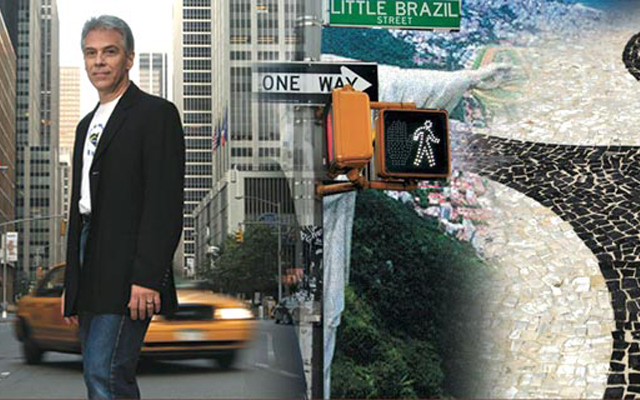 Personnel: Tom Lellis: vocals, keyboard (vibes, samples), piano (7), guitar (8, 11), percussion (3, 8); Toninho Horta: guitar (4); Orlando ‘Maraca’ Valle: flute (2); Gary Fisher: piano (1 – 5, 8 – 13), keyboard (7), bass keys (2); Ed Howard: bass (1, 3 – 5, 7, 8, 10, 12); Johnathan Blake: drums (1, 3 – 5, 7, 8, 10, 12); Kip Reed: electric bass (9, 11); Ed Uribe: drums and percussion (2); Tommy Campbell: drums (9, 11), additional percussion (2); Café da Silva (percussion (9, 11); Rogerio Boccato: percussion (3); William Galison: harmonica (13); Melba Joyce: vocals (3); Donna Cumberbatch: vocals (3); On ‘Dawn of the New World: Tom Lellis: vocals, keyboard; Dave Kikoski: piano; Tony Marino: bass; Tommy Campbell: drums; Jeremy Steig: flute. Tom Lellis is brilliant, moving and deeply expressive. Tom is and has been these assessments for a long, long while. I love his work as a wonderful and fresh vocalist of sheer and truthful artistry. Thank you, Raul da Gama for recognizing this special artist!